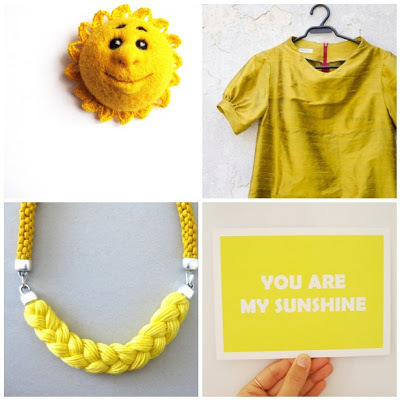 Monday MoodBoard – You are my Sunshine!!!!! The past weekend the weather was just amazing…March left and Summer is just right in the corner. I had a great Walk on the beach… with my beloved family and batteries are again charged! Yellow like the sun! Smile, Laugh, Breath, Enjoy… Summer is coming!!!! And do not forget to check the post and the giveaway for Akamatra!! Great weather and such a sunny moodboard!